It’s time to cover some cool automated bedroom gadgets that will look great in your house and make your own life little bit easier. Compatible with all 5V devices, such as iPhone, iPad, android phone, other smart phones, tablet, camera, PSP etc. Perfect for bedrooms or anywhere else you need some extra light. Awesome Star Wars Millennium Falcon LED light desk lamp that you can plug into your computer, laptop or tablet with USB plug. This Star Wars Millennium Falcon table lamp gives the appearance of a hologram and 3D effects in dark rooms! Seven delightful colors available for your choice. Set it either to fade gradually or with one specific color you like. The diffuser can be used as a nightlight separately. Turn lights on or off -from anywhere; even from the office or anywhere around the globe. Easy to install and simple to use. 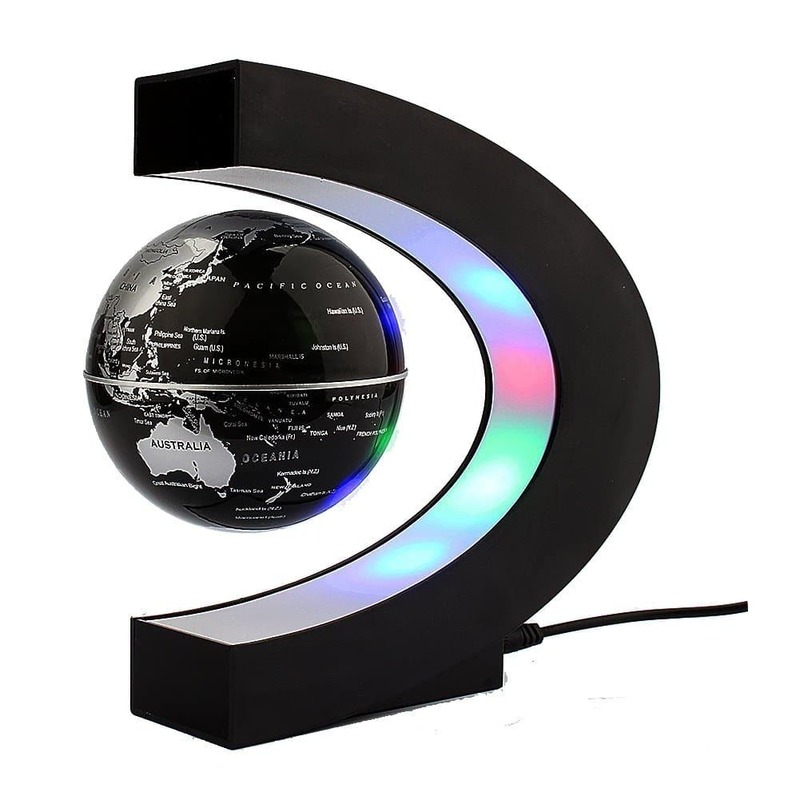 Floating 8.5cm globe, removable, it can float in the mid air, by magnetic suspension technology. One of the most amazing bedroom gadgets. I want it! The Awair Smart Air Quality Monitor with TrueSense keeps track of the air around you, measuring the temperature, humidity, carbon dioxide, toxic chemicals, and dust. Users can control their automated heater from their wireless device. Simple as that. I hope you enjoyed this list of must have automated bedroom gadgets. Do you like them? Do you have any to add? That lamp! I need it in my house! Thank you for linking up with us at Get It Together. We hope to see you there this week.